Histoplasmosis is a fungal infection caused by inhaling dust from spore-infected bird droppings. 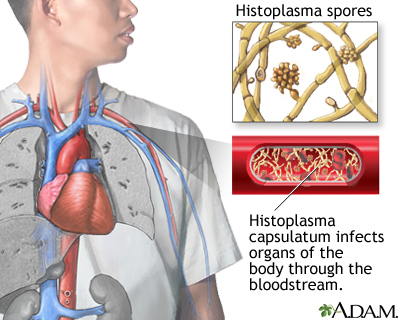 In the disseminated form, infection spreads throughout the body from the lungs. The death rate is fairly high for people with untreated widespread (disseminated) histoplasmosis, but is reduced significantly with treatment.